When I saw L. Penelope talking on Instagram about how she uses bullet journals to increase her productivity, I knew I had to bring her here. I’ve heard a lot about bullet journals for health and habits, but I loved her perspective of using them for planning our writing. 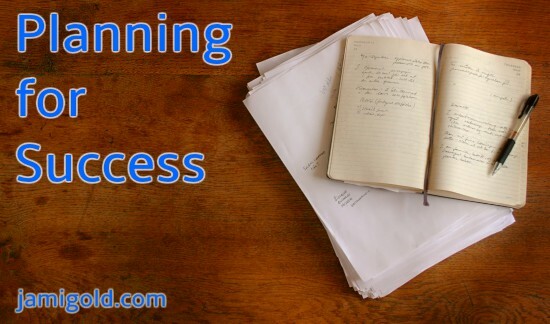 Whether you want to check out the class or not, Leslye’s insights here of how she uses bullet journals can help us plan for success. She’s sharing her ideas on how bullet journaling can help us improve our productivity and keep our sanity. I’m a list person. Ever since I was a kid, I’ve loved making lists. An affinity which grew into a love of spreadsheets and databases and organizing things. As an author who also runs a website development business, I have a ton of tasks to get through on any given day, and ruthlessly organizing my life has been the solution to keeping my sanity. About two years ago, I discovered bullet journaling. Also known as BuJo, bullet journaling is a system created by author and designer Ryder Carroll to encourage focus and productivity. Basically, it’s a simple method to keep track of tasks, ideas, lists, and anything else you don’t want to forget.